60 UTech, Jamaica Students to be Awarded Special Scholarships — UTech, Ja. The University of Technology, Jamaica as part of its 60th Anniversary celebrations will disburse 6 million dollars in scholarships to sixty undergraduate students under “The University of Technology, Jamaica 60th Anniversary Award” scholarship programme. The scholarships will each be valued at JS100,000.00 and recipients will be selected from the University’s three Colleges and five Faculties. The scholarships will be awarded for one year only and will be based on academic performance in Semester 1 of the 2018/2019 Academic Year which began in August 2018. 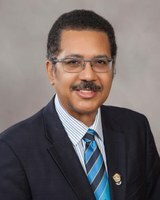 UTech, Jamaica President, Professor Stephen Vasciannie expressed his pleasure that the University is in a position to recognize academic merit through the 60th Anniversary Scholarships: "We recognize that many of our students face significant financial challenges as they pursue their studies. It is good that the University can help some of these students -- who show particularly strong academic merit -- to meet even a small part of their expenses for Semester II of the current academic year. These 60th Anniversary Scholarships are in addition to other scholarships offered by the private and public sectors, as well as by the University. We remain grateful to our scholarship donors, as we add these scholarships to the roster," the President confirmed. The University of Technology, Jamaica 60th Anniversary Award is open to all registered students pursuing undergraduate courses of study who have a minimum of 9 Credits for Semester 1 for the 2018/2018 Academic Year.